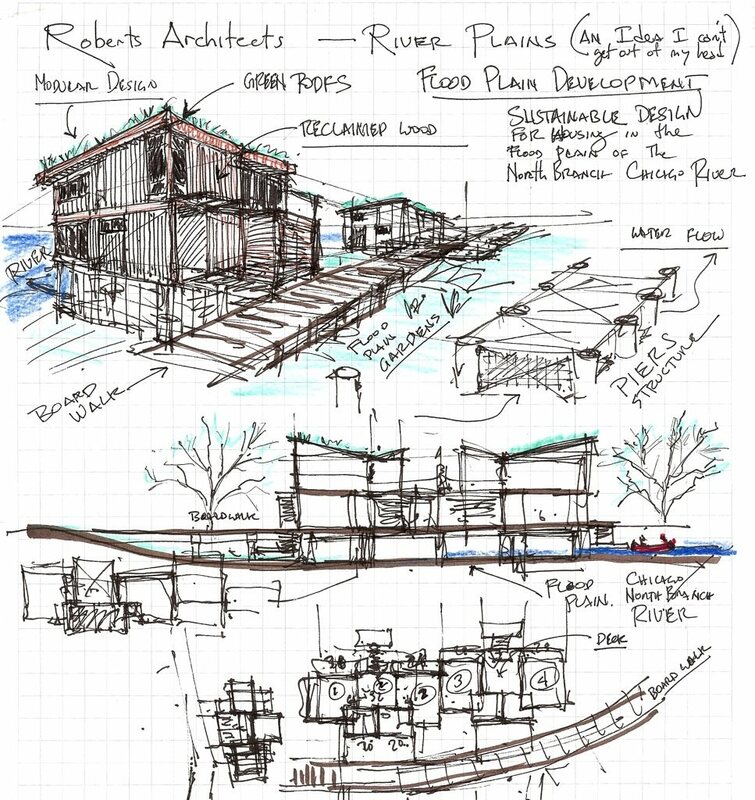 River Plains Village – Paddling Out Of The Front Door - Roberts Architects LTD Roberts Construction Group, Inc.
Every time we have major flooding event in our neighborhood, our River Plains Village idea comes back to my head. It’s a problematic site and former dumping ground that the Village of Wilmette has wrestled with for many years. I would love to live suspended above this flood plain, and launch my canoe onto the North Branch of the Chicago River when the waters rise. And it’s a great spot to bird watch anytime of the year.